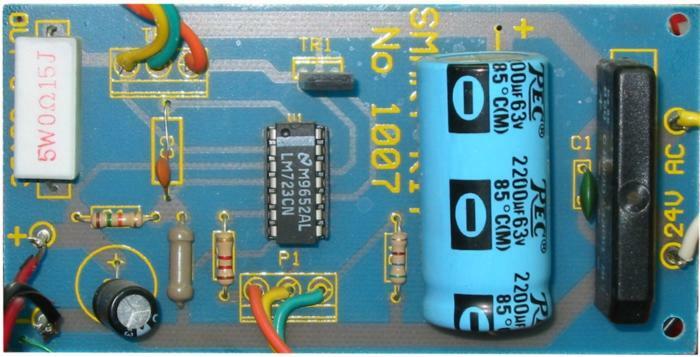 The power supply is using a well known and quite popular VOLTAGE STABILIZER IC the LM 723. The IC can be adjusted for out put voltages that vary continuously between 2 and 37 VDC and has a current rating of 150 mA which is of course too low for any serious use. In order to increase the current handling capacity of the circuit the output of the IC is used to drive a darlington pair formed by two power transistors the BD 135 and the 2N 3055. The use of the transistors to increase the maximum current output limits the range of output voltages somewhat and this is why the circuit has been designed to operate from 3 to 30 VDC. The resistor R5 that you see connected in series with the output of the supply is used for the protection of the circuit from overloading. If an excessively large current flows through R5, the voltage across it increases and any voltage greater than 0.3 V across it has as a result to cut the supply off, thus effectively protecting it from overloads. This protection feature is built in the LM 723 and the voltage drop across R5 is sensed by the IC itself between pins 2 and 3. At the same time the IC is continuously comparing the output voltage to its internal reference and if the difference exceeds the designers standards it corrects it automatically. This ensures great stability under different loads. 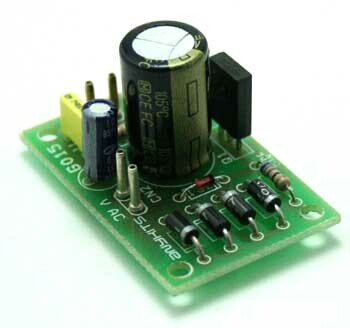 The potentiometer P1 is used to adjust the out put voltage at the desired level. If the full range from 3 to 30 V is desired then you should use a mains transformer with a secondary winding having a rating of at least 24 V/3 A. If the maxi mum voltage output is not desired you can of course use a transformer with a lower secondary voltage output. (However, once rectified the voltage across the capacitor C2 should exceed by 4-5 volts the maximum output expected from the circuit. Start building the circuit by placing the pins on the board and soldering them. You must be very careful when soldering the components that are going to carry heavy currents as your joints must be capable of withstanding the maximum current without getting hot. Solder the IC socket in its place taking care not to insert it the wrong way round and then put the resistors in their places on the board. Resistor R5 should be soldered in such a way as to keep its body slightly separated from the p.c. board to let the air circulate around the component and cool it. Continue your work with the capacitors. Be careful not to insert the electrolytic the wrong way round. The polarity is marked on the capacitors and the p.c. board is also marked accordingly. Insert the rectifier bridge in its place. The bridge is a heavy duty type and has leads made of heavier gauge wire than usual. If you have any difficulty inserting them in the p.c. board you can enlarge the holes with a mini drill. (Automatic production of p.c. boards requires all the holes on the board to be of the same diameter). Do not however make the holes too wide as you are going to find soldering the leads much more difficult afterwards. Solder TR1 in its place and mount TR2 on the heatsink following the diagram and making sure there is no electrical connection between the heat sink and the transistor. Dont forget the insulators, and use heat transfer compound between the transistor body and the heat sink. Using heavy gauge wires connect TR2 to the board and finally using a flat ribbon cable connect the potentiometer with the rest of the circuit. 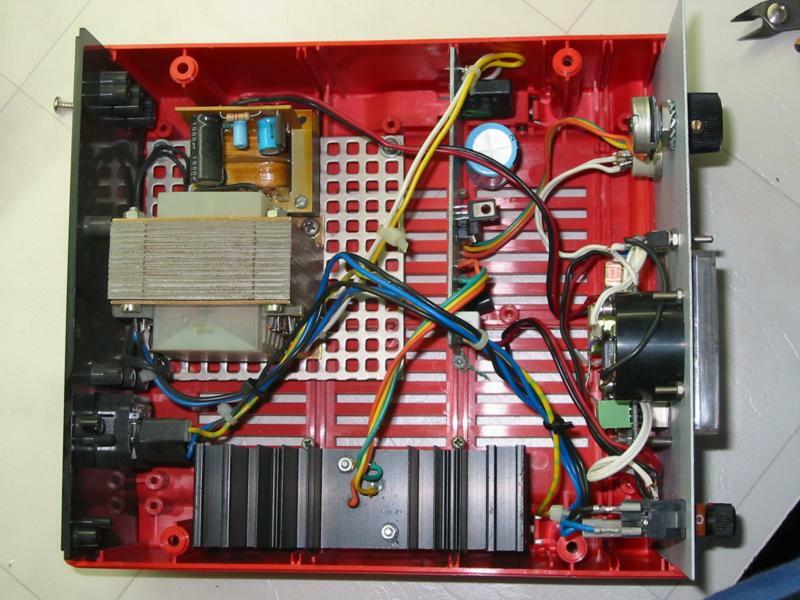 Insert the VOLTAGE REGULATOR in its socket and your power supply is ready. Now make a final inspection of your work to ensure that there are no mistakes that could cause a lot of trouble later. If everything looks OK you can connect the input of the circuit (it is marked «24 VAC» on the board) to the secondary winding of the transformer. 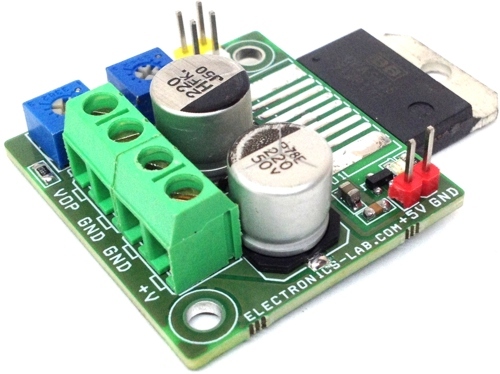 Connect a voltmeter to the pins marked «OUT 3-30 V» and using a mains lead connect the primary of the transformer to a convenient power out let. If everything was done properly the voltmeter should give a reading and turning the potentiometer should make it change. One trick will be to print it multiples times and try to fit the IC in PCB, this way you will have to print the PCB 2-3 times changing the dimensions. Thank you very much for your answer my friend!!! plz tell me what is the current rating of the input from the transformer ? and is C2 63 V or 35-40 V ??? WHAT SHOULD BE THE CURRENT INPUT FROM THE TRANSFORMER ???? 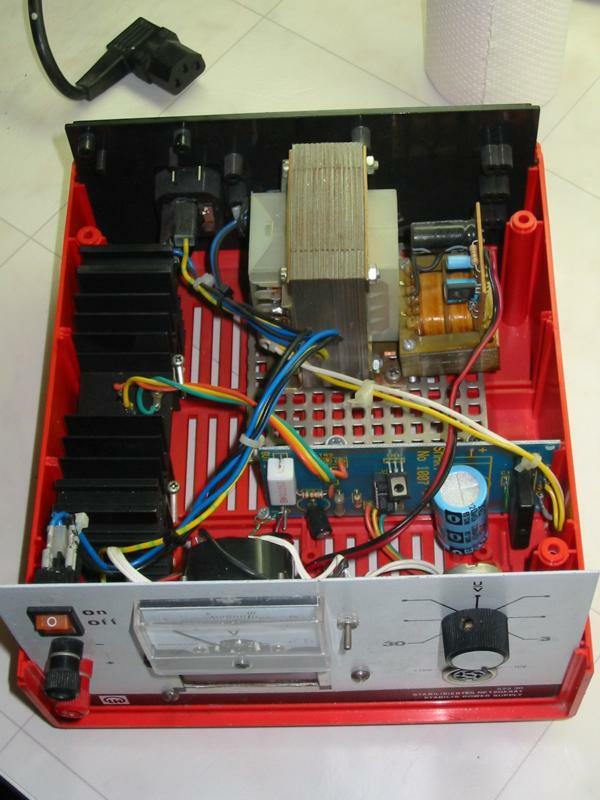 in the above specification the input is 24v 3amp & 3-39v output. you mean in your last comment is 30v. in voltages of 24v input how many volt can reach? Sorry for the misunderstanding. The transformer should be 24V/3A. This is Vrms value and transformer can produce 34Vpeak thus the output can reach 30V. 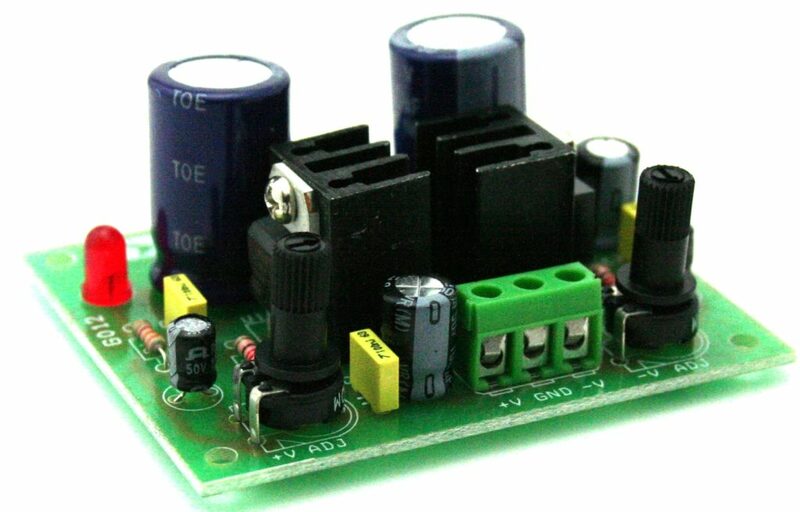 can you make the range output 1.2v-30v? is it possible? Hi .. I mounted the source according to your explanation however my source the voltage variation was between 10 to 25V … all the components are mounted correctly .. you know what can be wrong?